Manchester United have reportedly activated the additional one-year option in the contract of Italian defender Matteo Darmian. James Robson of The Standard has confirmed this after it was revealed earlier in that day that Darmian was a transfer target for Juventus this month. Darmian was signed by United in the summer of 2015, under the leadership of Louis van Gaal, for just £12.7 million and now there is a chance that United could receive that figure, or more, in a potential transfer. Earlier on Sunday, it was reported in Italy, initially by TMW that Juventus has reached an agreement with United for Darmian on loan with a purchase option. Calciomercato has reported the same but added that the loan deal with cost Juventus €3 million with the option to buy a further €8 million. It was suggested in the reports in Italy that United would need to extend the contract of Darmian, adding the further year that was stipulated in his contract as otherwise, he would be a free agent in June. Obviously, the reported fees in the Italian media may not be correct. United could demand a fee for the loan spell, adding a purchase clause in the summer, when Darmian would most likely leave the club permanently unless this is going to be a permanent departure this month. At 29 and lacking first team opportunities, this move would make sense for both Darmian and Juventus. The player is still a full international for his country, which would make sense. It is a shame that Darmian did not fit what United needed. Ole Gunnar Solskjaer will be the third manager he has played under at United and despite the fact his initial start under Van Gaal was a good one, he soon lost form, confidence and any sense of playing consistently under the veteran Dutch manager. Under Jose Mourinho, who was sacked in December, Darmian had little game time, often playing as the left-back in place of Luke Shaw and rarely playing in his favoured position. United are in a position whereby a new manager will be coming in during the summer, whether this is Solskjaer permanently or another candidate is yet to be known. Because of this, it is for the best reason that United aim to get rid of those who they can get rid of in January or even at the start of the summer transfer window, which will give finds and a much clearer squad for the new manager to get to grips with, bringing in players they want to rebuild the club with, also getting rid of other players who have no future. Darmian has remained a professional player at the Old Trafford club, despite not playing regularly. This season he has made six appearances, five for 90 minutes, coming on at the death in the 2-1 victory over Brighton and Hove Albion at the Theatre of Dreams on Saturday. There has been no moaning or discontent from the Italian international, even in the summer when reports were rife that he would be departing from Manchester. The positive part of this is that United are now seeking to get value from departing players. For years we have seen some decent players leave the club for a pittance of a transfer fee; Rafael da Silva to Lyon for instance. The move to extend the player’s contract, meaning that he could spend another year in Manchester means that Juventus or any other interested parties would need to pay a considerable fee to get the player, which is how it should be in the first place. If United are convinced to leat Darmian leave the club on loan, it will have to be on their terms. It is not right that Juventus could get six months or so out of the player then send him back to Old Trafford as soon as the summer comes. 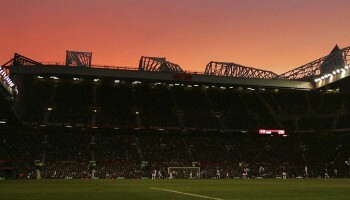 United will need to negotiate in their favour, ensuring that any loan deal will result in a permanent deal in the summer. Juventus have been interested in the player for some time now and they should have decided whether they want him permanently, if not I am sure there will be other options. Manchester United supporter. Gary Pallister enthusiast. Loved the Class of 1992. An advocate of youth football. Mason Greenwood could well be the future of United. David De Gea is the wall Donald Trump needs. Why does Jose Mourinho have such faith in Marouane Fellaini?